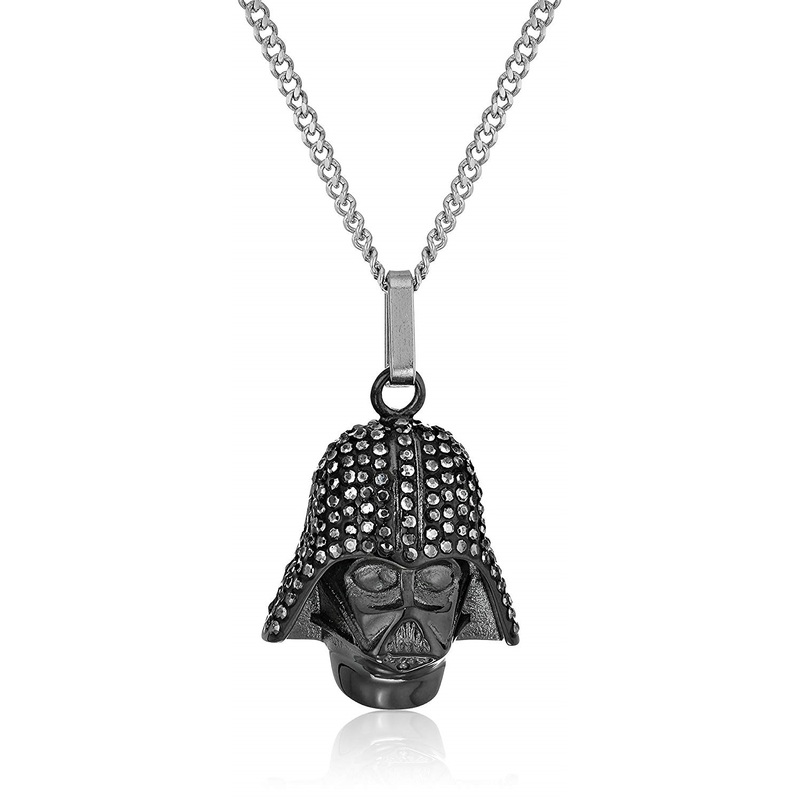 This Darth Vader rhinestone necklace is available on Amazon. 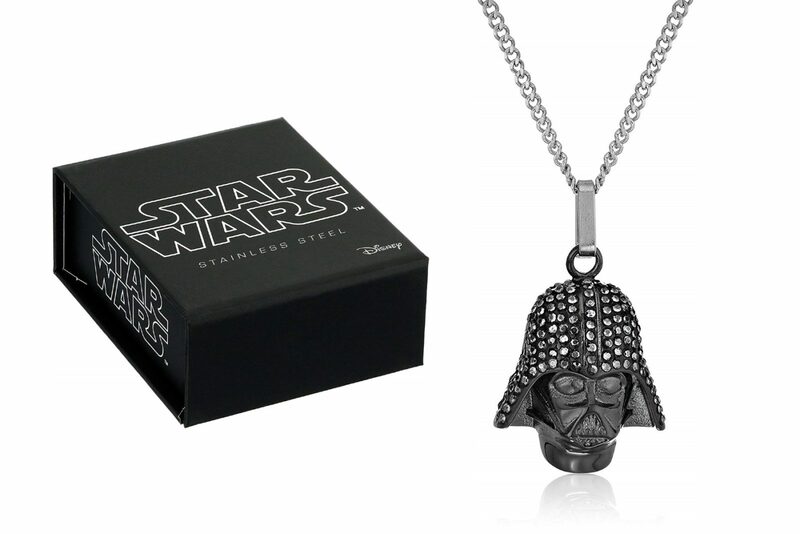 Made by Body Vibe, the silver-tone stainless steel necklace features a 3D sculpted pendant of Darth Vader’s iconic black helmet, covered in clear rhinestone gems. 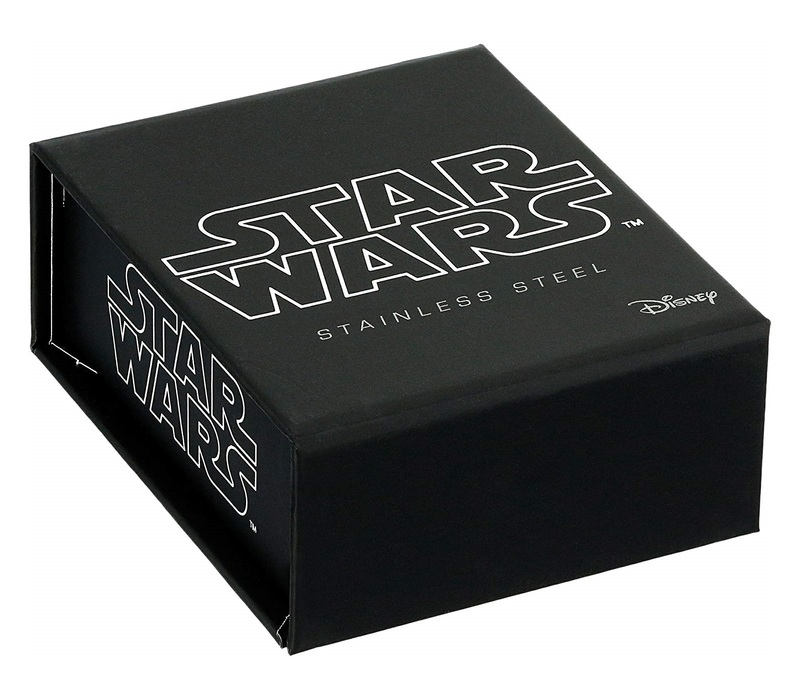 The chain measures approximately 18″ long, and the necklace comes packaged in a black licensed gift box. The necklace is priced at US$24.75 to US$27.59 each – shipping rates/polices vary by Amazon seller (overseas customers can order via a mail forwarding service).